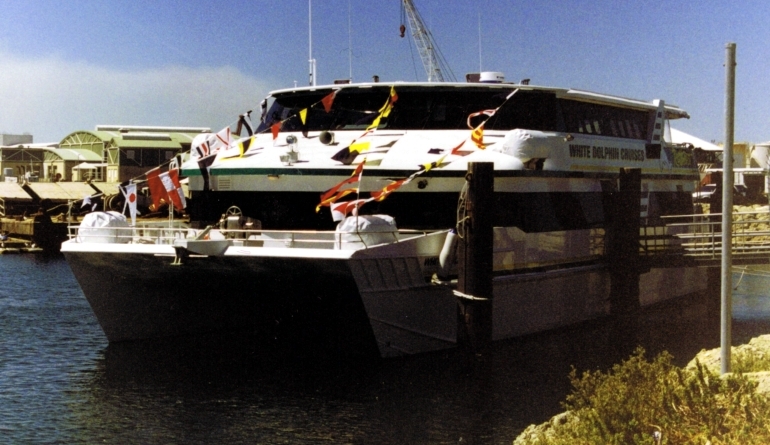 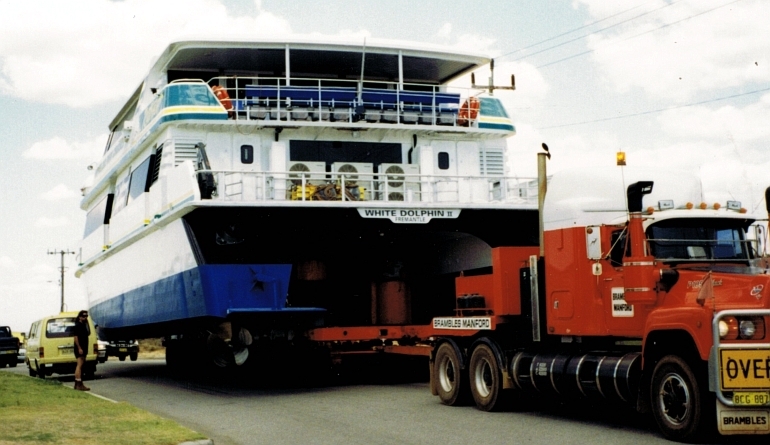 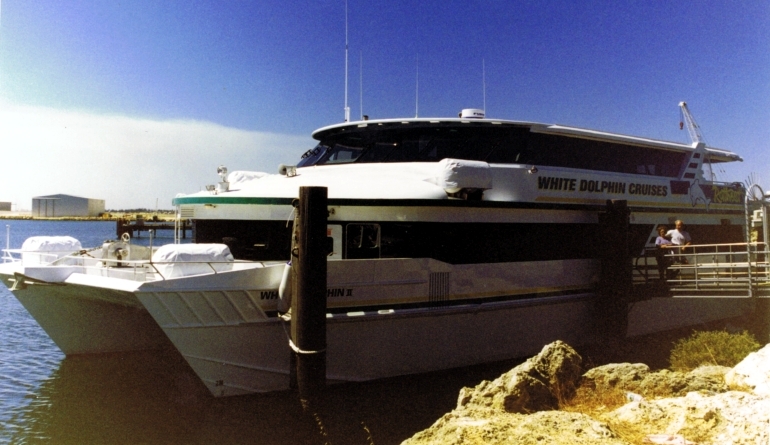 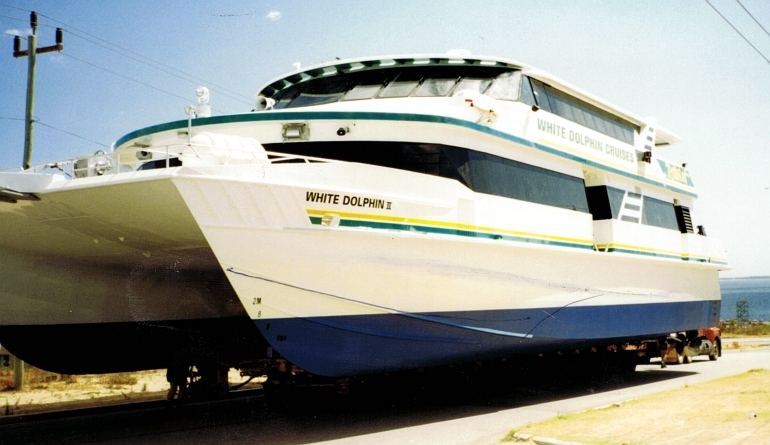 When Boat Torque Cruises of Fremantle, Western Australia, commissioned the design for “White Dolphin II”, the specification was for more passengers and higher speed than “White Dolphin I” – MK 93016. 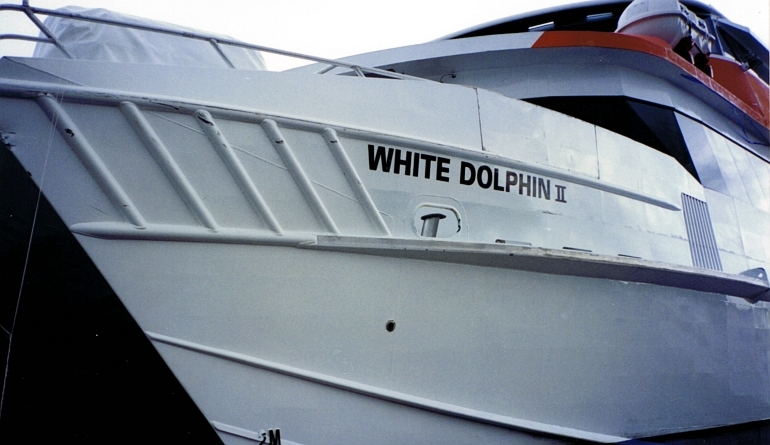 Both were achieved on a hull only 1m (3′) longer. 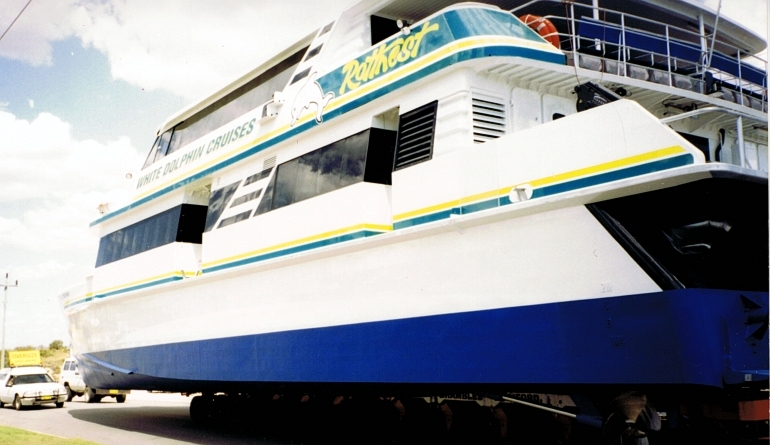 Both catamarans eventually went to Hong Kong (renamed to “Flying Amber” and “Flying Emerald”) after several years service and now operate for a Chinese ferry company. 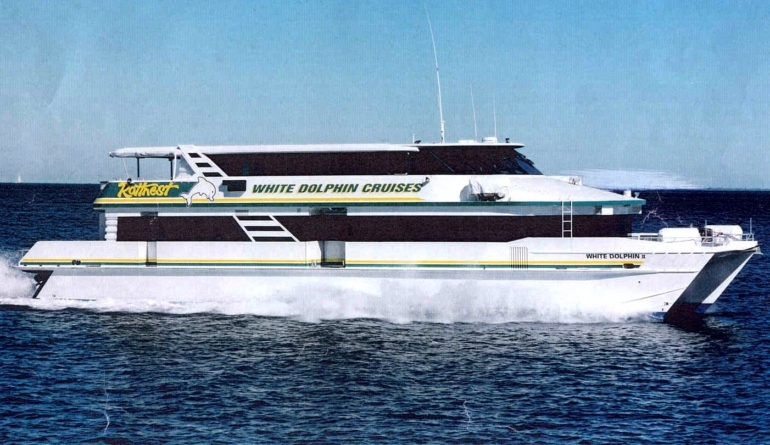 With a larger passenger capacity and higher speed than “White Dolphin I”, this vessel is more suited to longer routes. 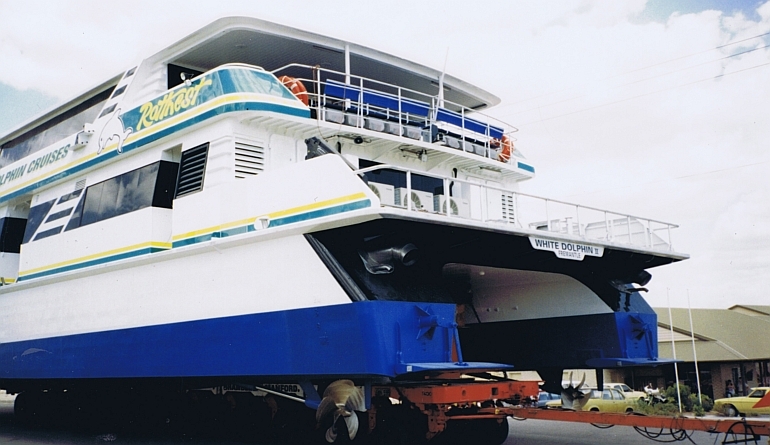 The hull is very efficient with a semi-tunnelled propeller and can be equally as well powered using waterjet propulsion.